Noktuku laptop tray. 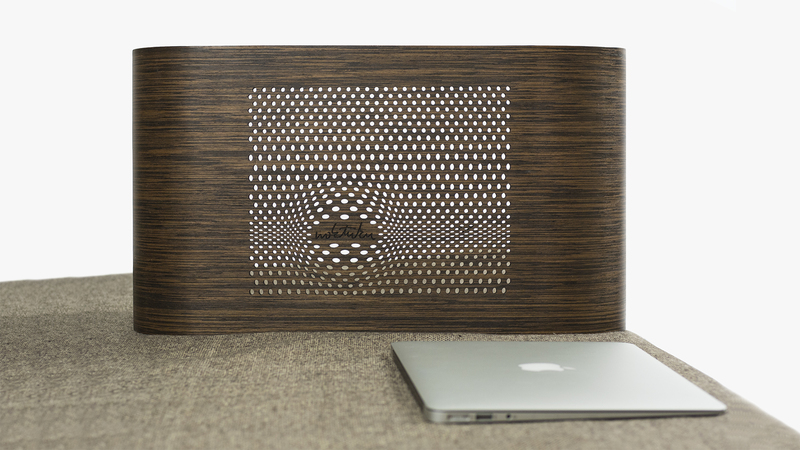 The world’s first laser cut – bent wood laptop table. 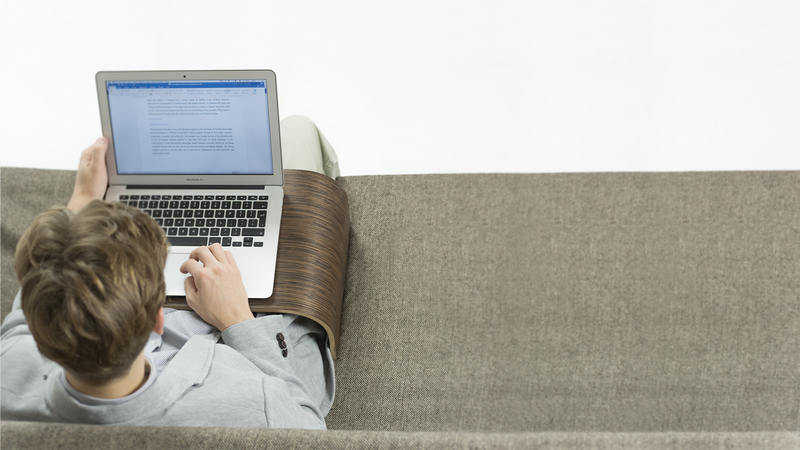 It takes weight off your thighs and increases the needed airflow for a laptop. It is ideal for handling that extra work after a long day on a sofa, browsing in a bed or just having a drink. 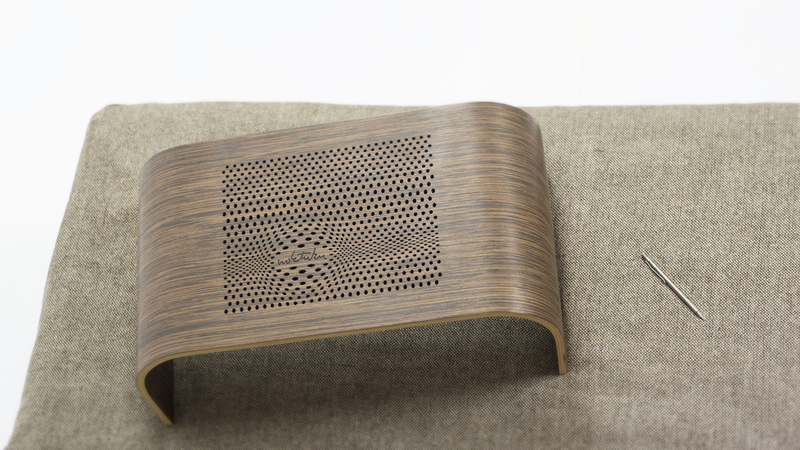 The tray is produced of molded plywood and veneered with Wenge – a close grained African hardwood. 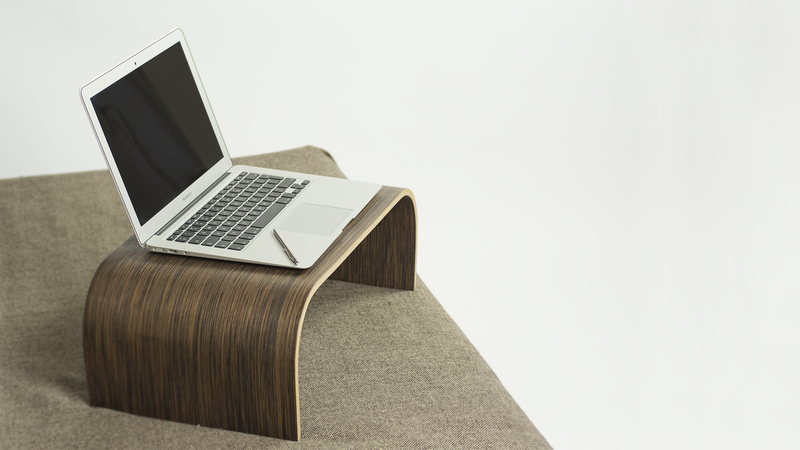 It accommodates laptops up to 18″ in size. Product dimensions: (length, width, height): 51 x 29 x 18 cm (20 x 11 x 7 inches).